Sometimes when working on cars or other projects I thought it would be helpful to have magnetic fingers. Holding screws or nuts while streching your arm inside an engine can be difficult. So I put some magnets in the finger tips of one of my mechanic's gloves and on the back of the other. It is quite handy. I like these because the magnet is inside the glove and the project looks nice and clean. It looks like someone is trying to market these online but why buy when you can make? I decided to put magnets in the index and middle fingers of my left hand glove. I'm right handed and usually I need to hold the screws etc in my left. 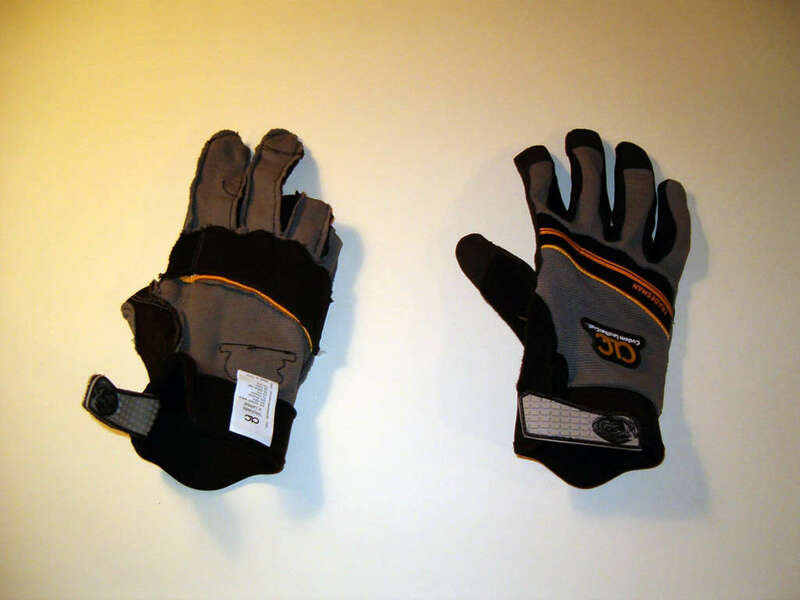 I got the gloves at home depot, I liked them because they have the leather on the palm and another layer of fabric on the inside so it was easy to put the magnet in and keep it in its own "pouch"
Unpick the stitching about 1/4" on each finger in which you want to place the magnets. 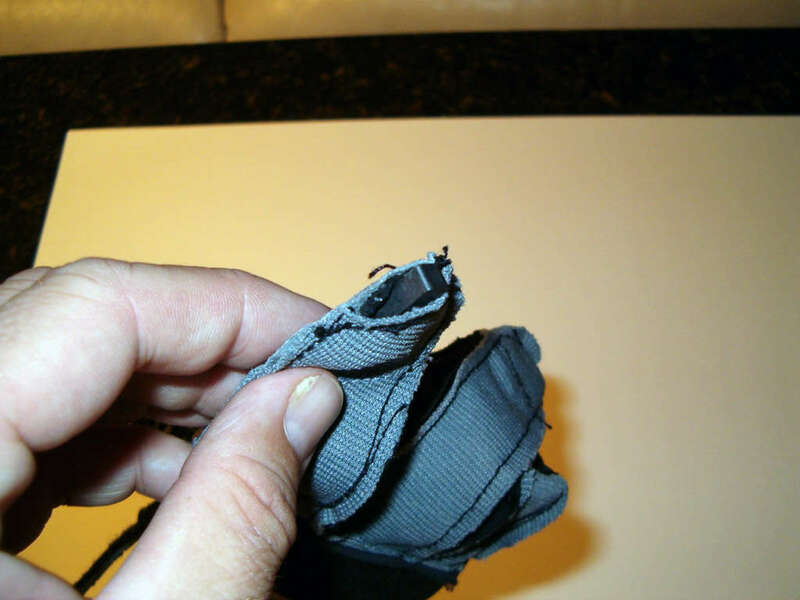 Insert the magnet into the pouch and then sew the fingertip back up. I placed the magnet so it was on the thumb side of the index finger. I did not want the magnet over the fingerprint area as it would make the glove less usable. Next photo: stitch the gloves back together. 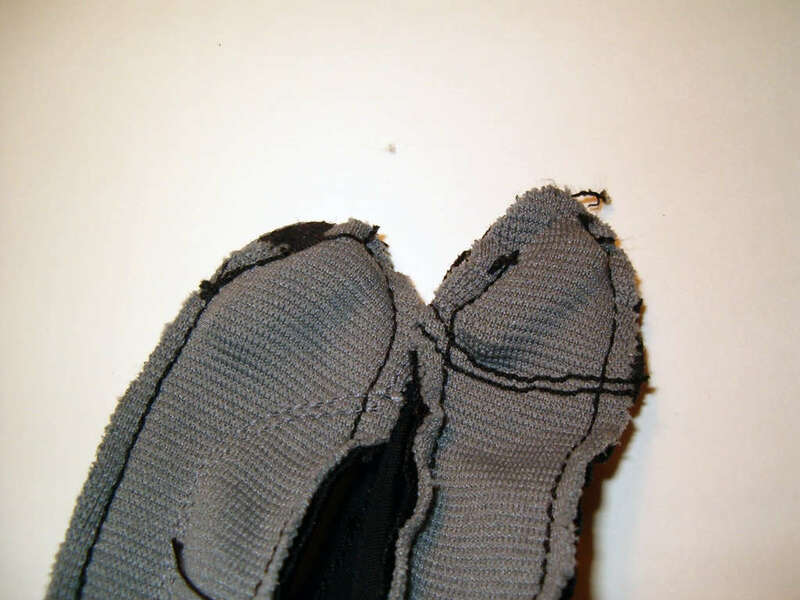 Notice that the factory stitching keeps the magnet in the tip of the glove. so this is pretty easy to do. If you want to place the magnet on one side you can put a couple of stitches right below it to keep in where you want it. Ok.. Now you can use the glove to pick up small metal parts or hold them steady while trying to work with them. Any Ideas on making these more useful? I would love to hear them. good idea, but why not just get a Neodymium implant? that way, you could hold those things, your hands wouldnt get so hot, and you'd also have magnetic vision! Neodymium? Risky. An average strength neodymium magnet the size of a penny (or, more likely, a stack of 3 or 4) can lift 10 kg. Because of this strength, its highly likely that a nail or easily a screw driver could accelerate towards the magnets too easily; i.e. it pierces glove and flesh alike. 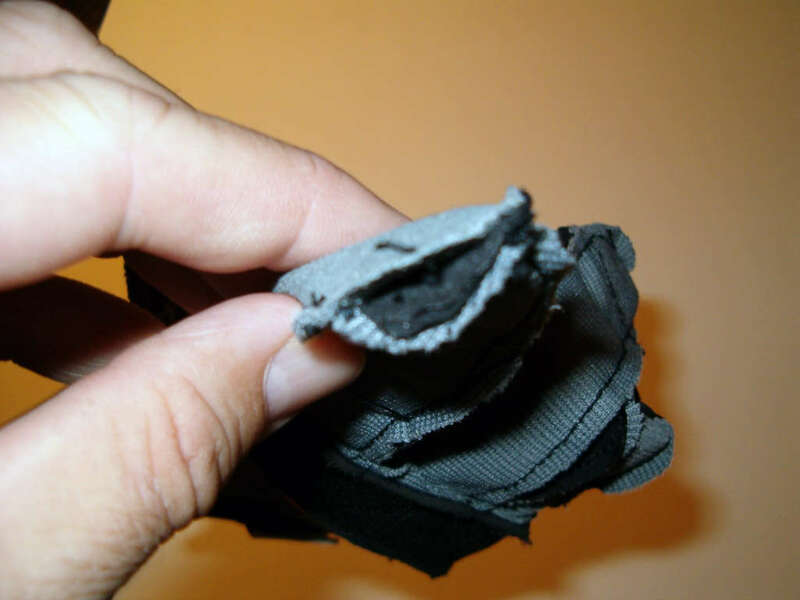 Still, a neodymium magnet glove would be awesome, you just have to make the glove particularly strong (if you're going to use some of the stronger variants of neo magnets, or a yet more uber- powerful magnet, kevlar might not be overcautious). Add led lights to it, maybe, like in the "Gauntlet of Light" instructable. he meant to say magnets function independently of earths magnetic field. they do not rely on the magnetic field to operate. so a magnet would still work even if you were a trillion miles from anything. My Dad and I said we needed to invent these things this weekend. I was installing a ceiling fan and the screws kept falling. Although our vision was a tad different but great idea! Unlike the earth's, the moon's core is statoinary and cool, not spinning, so it doesn't GENERATE a magnetic field, it's just magnetic, in the same was that a bar of steel is magnetic. Compasses won't work as compasses in space, they'll work as any other magnet would. Ah, i just read some other comments, and it seems you were right, but i'm posting anyway. sry 4 the double post or u could use rubber gloves so u could still have magnetic vision w/o implants and u could pick up stuff. otherwise, great instructable i'm gonna do this tomorrow! when i said 'highly flawed', i was referring to somebody elses comment. you are right, the moon does have a north and south pole. this assumption is highly flawed since magnetism is a universal constant, the same as gravity, the strong force and the weak force. a large layered mass is not needed for a magnetic field to funtion. basically, magnetism is the same everywhere. you don't need a planet for magnets to work. if magnetism didn't work in space, electromagnetism as we know it wouldn't function in space, meaning that no electronics (or even bio-electrics (the brain)) would function in space. in regards to the comment about the moon: the moon has an iron/nickel core just like the earth. yes, it has a magnetic field. every planet in the solar system (and most moons) have magnetic fields. Regarding NASA application,will magnetics behave the same without an earthly magnetic field ?